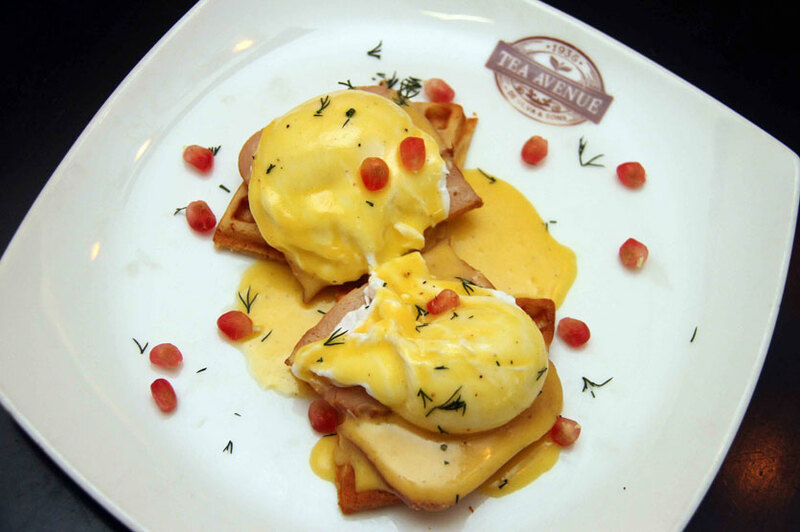 There’s nothing quite like a good breakfast and Tea Avenue definitely promises you one with their all new breakfast menu! Introduced in December 2016, the new menu is already a favourite among regulars. 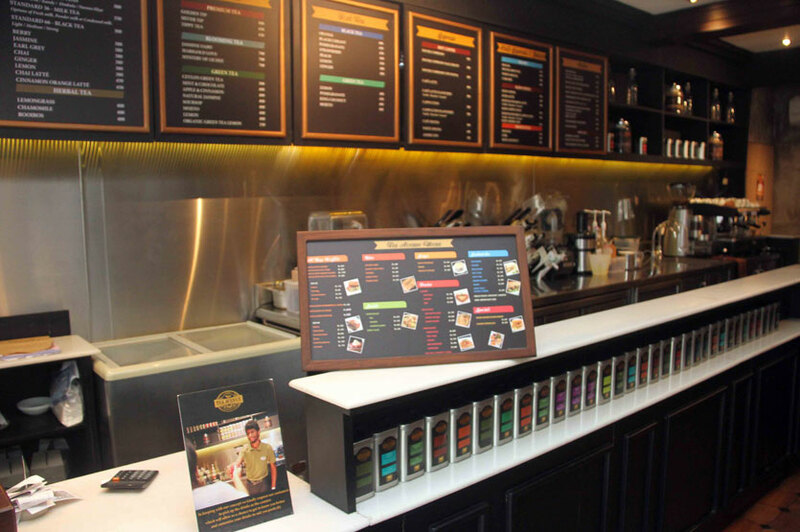 “A lot of our customers wanted something a little bit more different and healthier for breakfast so we came up with this specially curated menu just for breakfast to give our customers what they want!” said the management team behind Tea Avenue. Most of the items in the breakfast menu leans toward the health aspect in their conscious effort to use multigrain bread, use less butter and fats and cook with olive oil than other fatty oils. We began with their English Breakfast at Rs. 900. This full English Breakfast pays homage to the English way of having breakfast with a little bit of everything. The breakfast includes toast, hash browns, sunny side-up eggs, sausages, baked beans and a bit of salad. 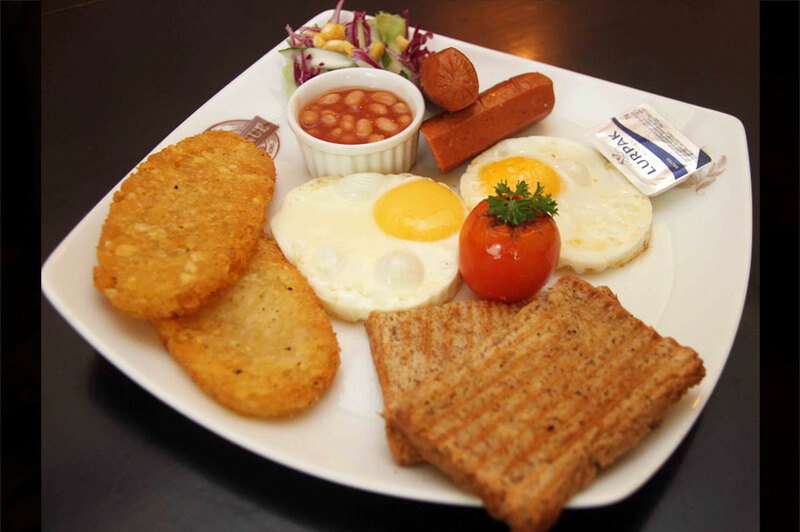 The English Breakfast is quite a large portion and can easily be shared by two people and still fill you up. We thought the hash browns stood out from the rest because they were perfectly crisped till golden on the outside and soft and fluffy on the inside. 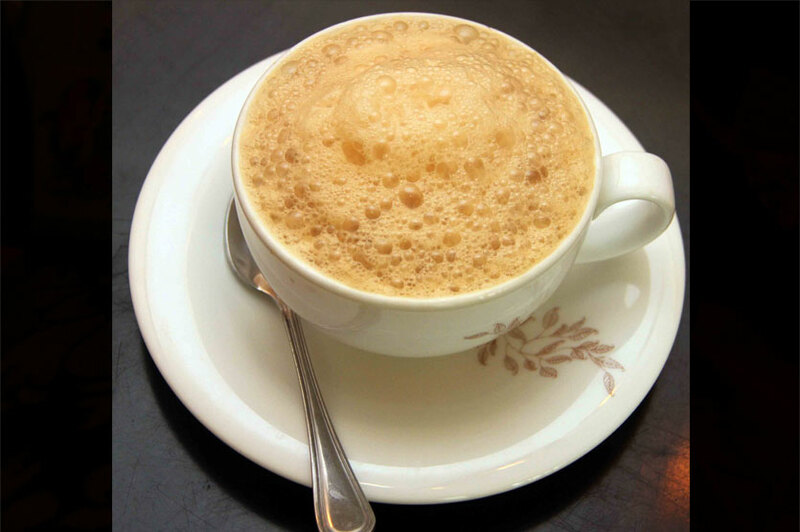 Paired with their famous Milk Tea, you are good to go for breakfast! If however, a full English Breakfast isn’t your choice of breakfast, the new menu has a variety of choices ranging from savoury to sweet for everyone. We tried their Wholewheat Bread with Avocado at Rs. 580. 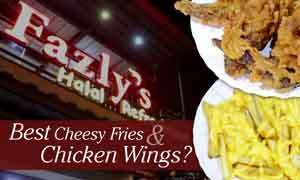 You can also add on extra eggs or smoked chicken for a small price. 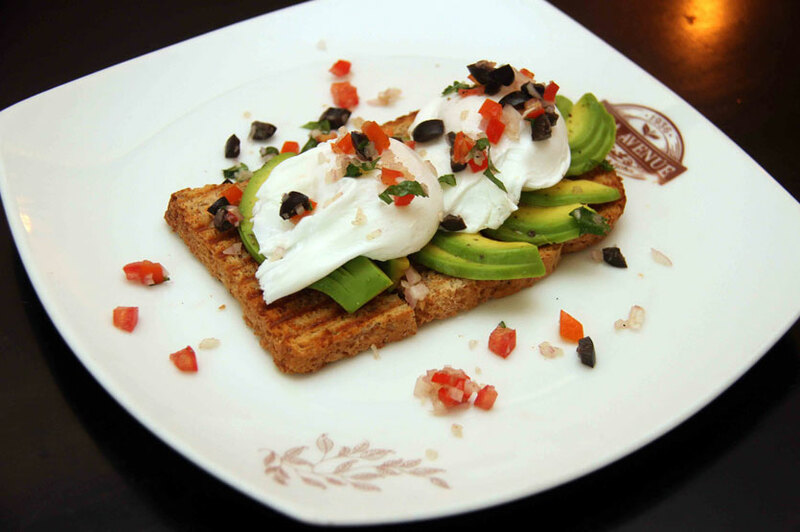 We chose to add poached eggs to have along with the avocado for an extra Rs. 80. Beautifully presented, this dish included 2 perfectly poached eggs on a bed of ripe sliced avocado and wholewheat bread. The eggs were poached just right and when cut, the yolk oozed across the bread. You can also opt for smoked chicken or smoked salmon if avocado isn’t your favourite. We also tried their Waffles Eggs Ben which is available with avocado, smoked chicken or smoked ham. We opted for the Smoked Chicken at Rs. 850. The smoked chicken is sandwiched in between the waffle and the poached eggs and is finished off with a generous heap of hollandaise sauce on top. This dish has a good combination of flavours and the waffle and ham soaked together with the egg yolk and hollandaise sauce is a perfect blend. 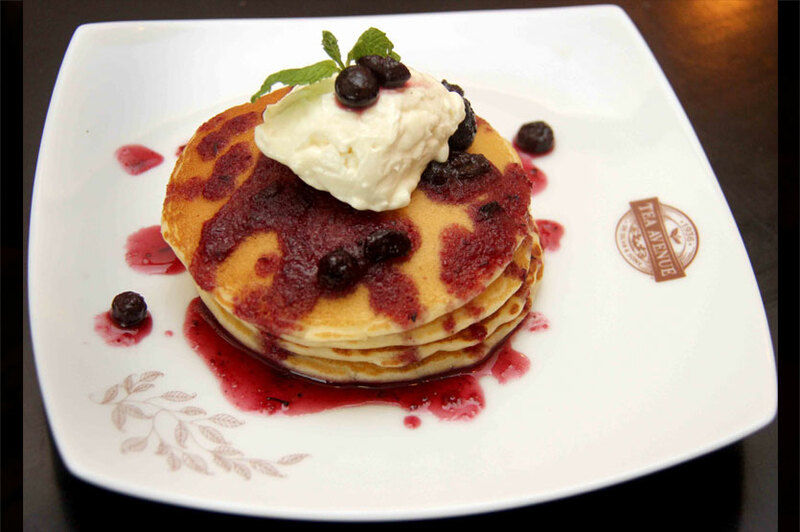 Finally, we thought a little something sweet wouldn’t hurt for breakfast and tried their Blueberry and Cream Cheese Pancakes for Rs. 720. Perhaps one of the fluffiest pancakes we’ve ever tried, we loved how soft the pancakes were and thought the blueberry compote along with the dollop of cream cheese on top were the perfect combination. 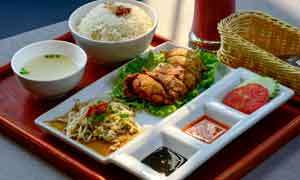 The new menu also includes a promotion where an option of tea or coffee is given at half price with the English Breakfast meal. 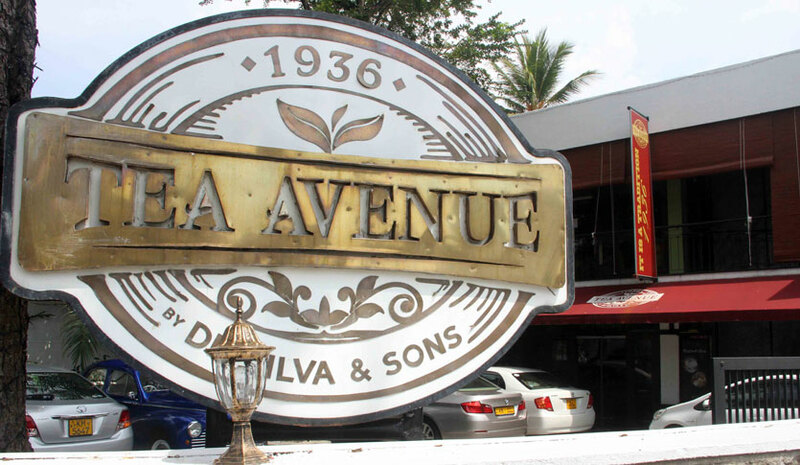 Tea Avenue’s new breakfast menu is one giving customers a multitude of selections for breakfast that sounds so good (and tastes so good!) that it’s almost impossible to pick which breakfast you want to eat! The breakfast menu is available Monday to Sunday from 7:00AM to 11:00AM and is definitely worth a try!